Wouldn’t It Be Amazing If Every Book Had a Map In It? Why Google Earth is so awesome for teachers. Google Earth. You heard of it way back in 2006 when it first launched. Odds are that you probably even found your house on it and maybe even played the flight simulator that is built in. What you haven’t realized is that Google Earth is one of the single most powerful teaching tools for social studies, geography, science,…heck even English and Math. 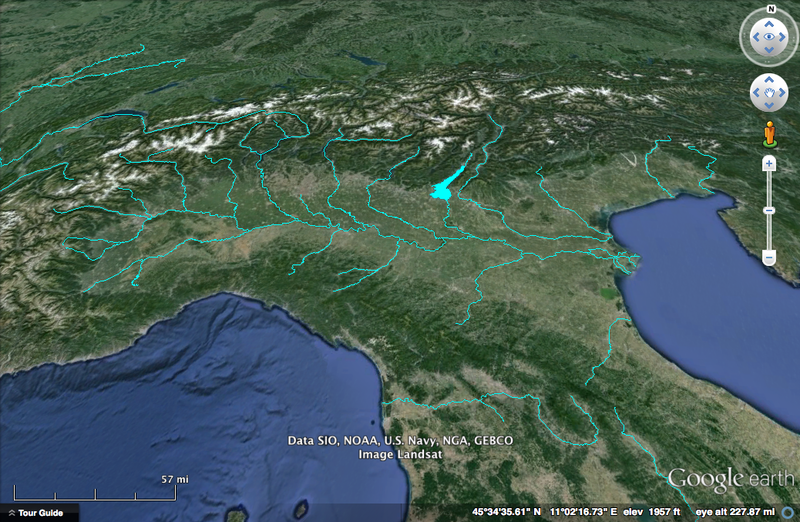 Come to think of it, I have probably built a lesson for almost every type of subject in Google Earth for my students. Why is Google Earth so awesome? Well, here are a few reasons why you should rethink using Google Earth for as many class assignments as possible. Students can literally go ANYWHERE on earth. In most cases, they can even go into street view and see what a small, insignificant town square in north-central Uzbekistan looks like. Its that good. Students can learn about the relationships between physical features and the choices humans make to live where they do. There are so many layers in GE to explore. If there isn’t a layer that you want, you have the ability to create your own. I started tracing all the river systems in the world our of curiosity a few years back and have now almost completed the darn thing. The interesting thing that my students noticed when I had them trace a few of the major river systems in the world is that they discovered that most of the major cities around the world are all located on rivers. Imagine that! This led directly into a rich conversation about why people choose to live where they do and why rivers (and the water they carry) is so important to human civilization. You can use math. I wanted my students to learn about river basins and how the source of a river is very different from it’s mouth (Source is high in the mountains where a river begins its flow and the mouth is at the end where the river flows into a larger body of water at a lower elevation. 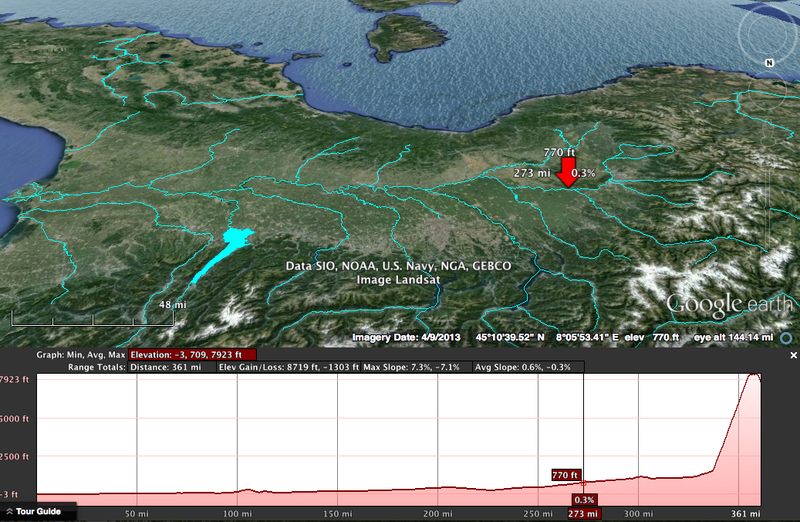 When you trace a path in GE you are give the option to show the elevation profile. This gives the student a perfect illustration as to the differences between the sources and mouth of a river. Combining this with the ability to tilt your visual perspective in GE, this concept really sinks in rather than trying to explain it abstractly. Students can combine GE with real world skill building. I had students take a fictional trip to a country of their choice. They would have to map out their itinerary in GE and illustrate the paths they would take. In addition, they would have to use real travel websites to create a Top 10 list of best places to visit and why they recommend the rest of us go visit. By using the functions of Path, Placemark, and Polygon, students were able to create a visual experience for others to see the beauty of these countries. Explaining the evolution of language. 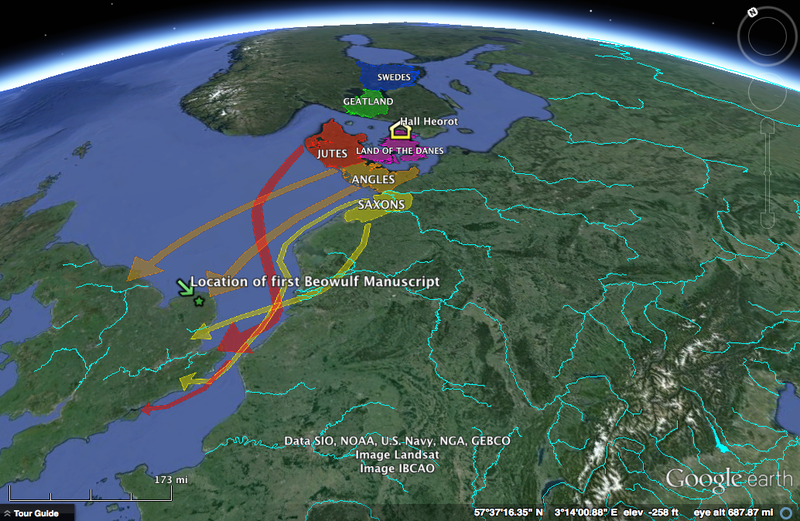 When I taught Beowulf to my class, I used a file I created in Google Earth to help answer the question “Why is the first story written in the English language and found in the United Kingdom, written about Danes, Swedes, and Geats who lived across the North Sea?”. 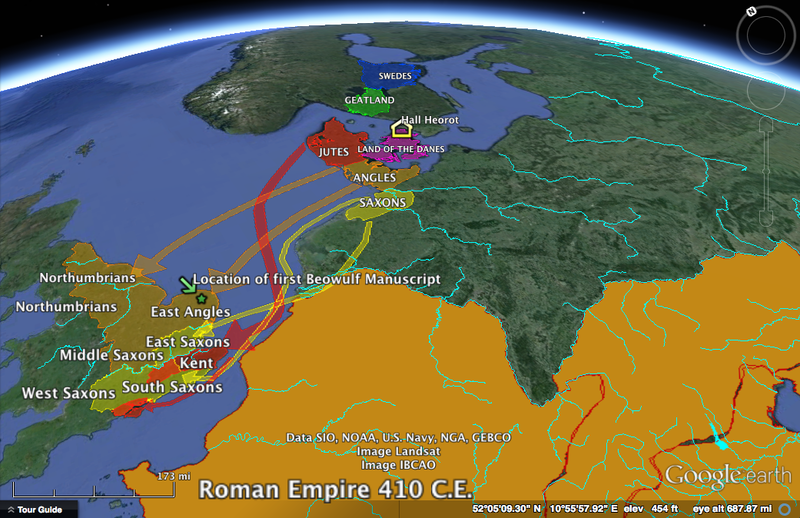 You can illustrate the collapse of the Roman Empire and the resulting invasions of Anglo-Saxons and Vikings pretty easily in GE to help paint a picture of how language is influenced by the people who move (migrate) from one part of the world to another. The beauty of GE is that the layers that are built are not static! They can be turned on and off depending on which piece of information is important or relevant to the class conversation at that particular moment. When a teacher puts the power to create content in the hands of his/her students, Google Earth has the ability to transform a student’s experience from a passive observational one to a dynamic, creative one. There are all sorts of activities that students can create within the boundaries of Google Earth. You just have to use your imagination and let the kids go and build. You will be amazed with what they can create. Thanks for posting. I’m studying for the Google certified educator exam this week and your blog really helped portray what google earth is capable of. A great inspiration and reminder. I used Google earth way more in the 2006 era when it was way more clunky to use. 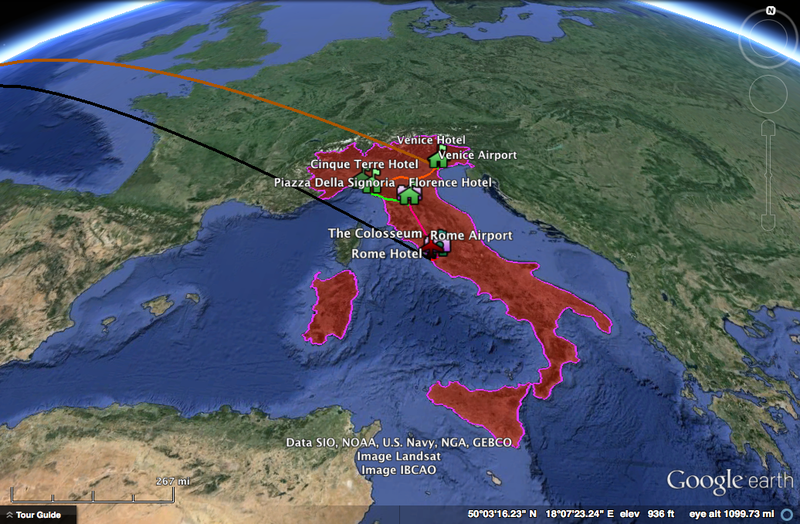 As an English/Social teacher there are so many uses…I need to redevelop lessons around Google Earth! I'm an Entrepreneur, Educator, Photographer, and Husband. Helping people be learn to be creative and channel their energy into positive world impact is what gets me up everyday. I write about the creative process as it looks in the classroom and how educators can recognize it and harness it. This blog is a collection of my experiences in the classroom and a canvas to expand what I've learned into meaningful action for learners worldwide.